Entered (If Canadian's can enter). So cute! I am in the process of updating This Little Piggie Marketplace for fall/winter, and will be getting rid of products that don't sell and adding a few new products for the holidays. Sef - just went through your site - again - and it looks sooo terrific. Seems like there are lots of changes (for the better). I do tend to order stuff from amazon but i'm now going to bookmark you and check your site first. 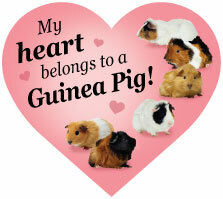 Do you have a first aid kit for piggies? I saw one somewhere, and can't remember where, but I'd love to get one. She's selected products so wonderfully! I think anything you get through her Marketplace is an appropriate product. Thanks very much for the nice feedback. There are some broken links that I need to fix, and a few things that I want to rotate out (plus, I want to add Zupreem hay to my "line"--I really like that stuff), but I just haven't had the time or energy to work on it lately. Setting that as my goal for the next couple of weeks. I'm picky about which products I put on there, so it's not always easy to keep the site "fresh" and interesting. I try to look for fun things like jewelry or apparel, but I do try to be careful about the price and quality of those items. I don't want to add things just for the sake of putting new stuff on the site. Jacqueline -- at one time, I sold a product called the Cavy Kit. It was something that I made myself, and sold quite a few of them. I thought it was a pretty nice item, but it got really expensive to build (plus a couple of the Kits went 'missing' in the mail, which really hurt the pocketbook), and I didn't want to raise the price of the Kit to compensate, so I ended up just calling it quits. American Pet (formerly American Pet Diner) is offering a small animal First Aid Kit on their site, but it's pretty generic. It's interesting though -- a couple of years ago they contacted me, wanting to know what items I was using in my Cavy Kit. I do wish theirs had better/more useful items. There is definitely a need for something like that. You know I love TLPM! And I think you have a great selection of supplies. My guys love the Zupreem hay. It's always so green and soft. I just took a look at the APD kit and it's a nice basic kit but the Cavy Kit was definitely better. I don't have a suggestion about products, but it sure would be nice to have a search function on the website. Every time I recommend your ivermectin to some kid at GPC, they come back and tell me they can't find it. And I have to hunt it for them. I just googled Zupreem. Where can I buy their hay? I won't shop at Petsmart/Petco. Can I buy their product on-line? I get mine locally, but used to order it from Wag.com. I'm hoping to add it to TLP over the new few days. Zupreme pellets are also fairly decent (with no calcium carbonate), but contain alfalfa -- so they're more appropriate for younger pigs. I am happy to announce that This Little Piggie Marketplace is now offering all of the Parsley Pigs & Friends books! 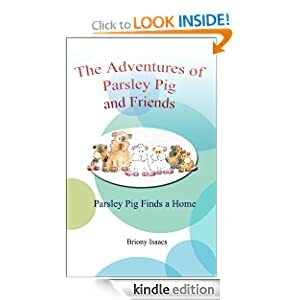 We will be doing a contest later this week with autographed copies of Parsley Pig as the prize. Stay tuned! Also, please check out the new navigation on TLP. I have been trying to find a way to make it easier to find things on the site (thank you, bpatters for the search box suggestion -- I couldn't get it to work the way I wanted it to). Does the new, longer navigation list make sense? As always, thanks for looking & thanks for your support! Sef - I love, love, love your website. It's so clean and fresh looking, and easy peasy to navigate! I have you bookmarked when I need supplies. If I'm amazon prime, would I get free shipping as well? what is your relationship with Amazon? Thanks for the feedback, Jacqueline. Liking the new look lots! Check out the contest winners on our home page! www.tlpmarketplace.com Congrats to all! I especially like Sabrina's caption! This was fun! I can't wait to read it, I'm really excited. The illustrations are just adorable. Thank you so much, sef and pig party!! Your caption made me giggle, Lynx. The new look is fabulous, sef! I love the your web site. Nice job! I can't wait either! I especially love Pig Party's illustrations! I thought those illustrations looked like Pig Party's avatar! Thanks for confirming it.